How About A Little Beauty Sleep? 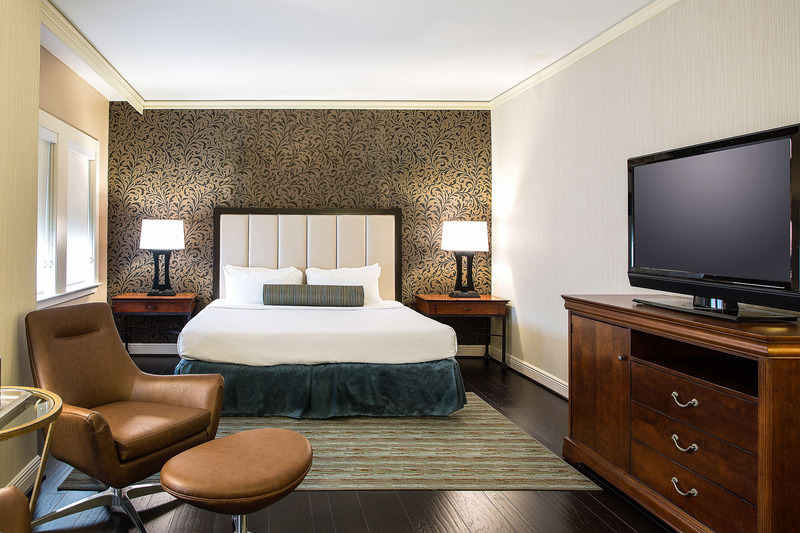 Contemporary style with a touch of luxury fills the 259 guest rooms at The Whitehall. 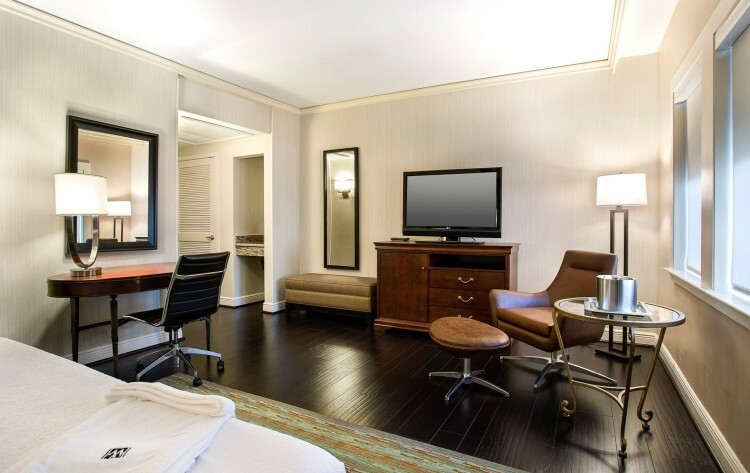 Our generously oversized rooms are among the largest in downtown Houston and feature an inviting blend of modern comforts and distinctly local touches you won’t find anywhere else. 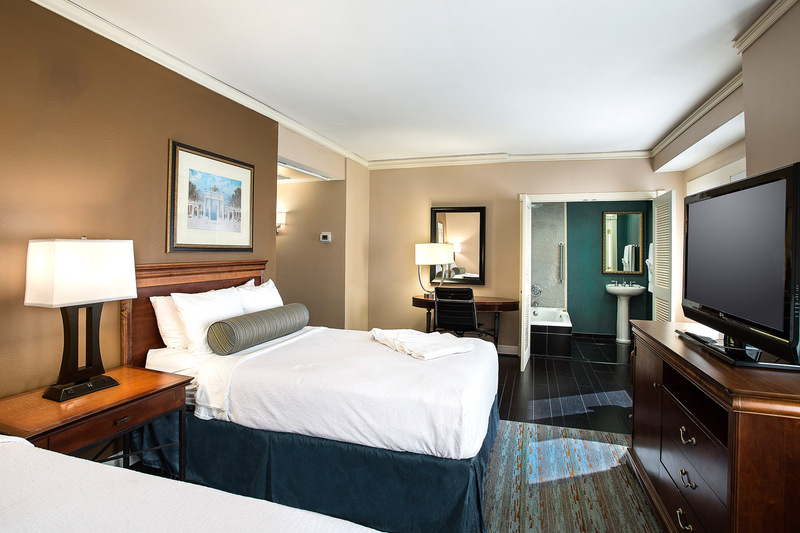 Enjoy thoughtful amenities that provide the warmth of home, including hardwood flooring, luxurious linens, and Sotherly’s signature Beautyrest® mattresses. 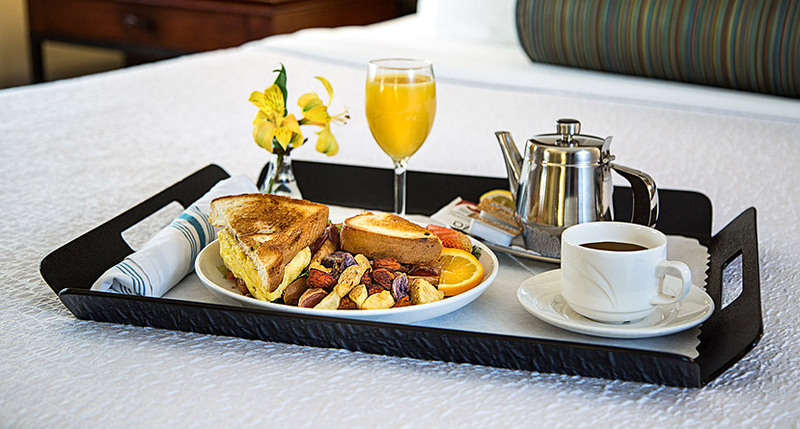 Read morning newspapers from around the world over a fresh cup of coffee or tea. 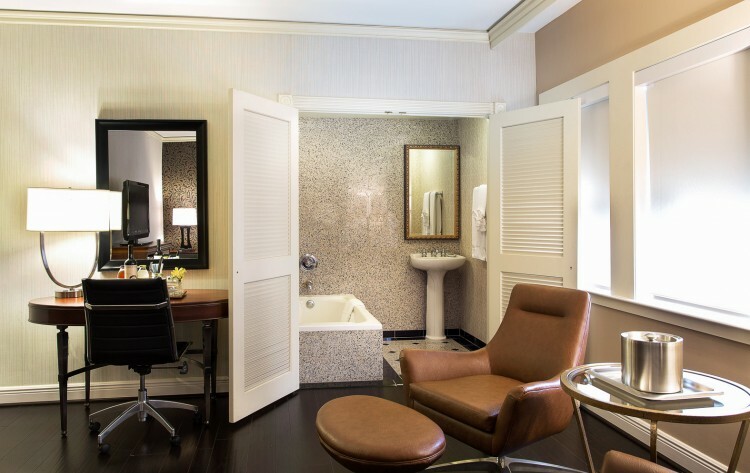 After a day of meetings or urban exploring in downtown Houston, unwind with eco-friendly Olive Branch Botanicals bath amenities and our signature “Sothern Delights” lemon sugar cookies. Trust us, bedtime has never felt this good. 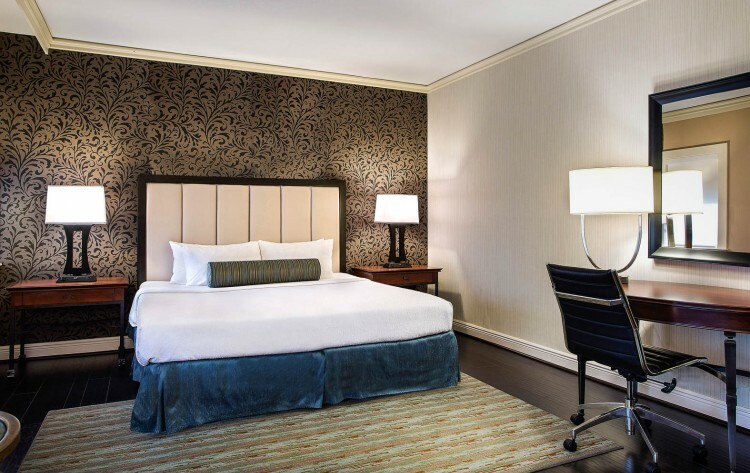 Elegant yet refreshingly modern, our handsome Standard King or Double guestrooms are furnished with one king or two full beds and thoughtful amenities designed to enhance your stay. Highlights of these sophisticated guestrooms include a work desk with ergonomic chair, a spacious bathroom with tiled shower, and an in-room safe large enough for your laptop. Offering the ultimate Sotherly experience in downtown Houston, our Deluxe King or Double guestrooms go above and beyond. 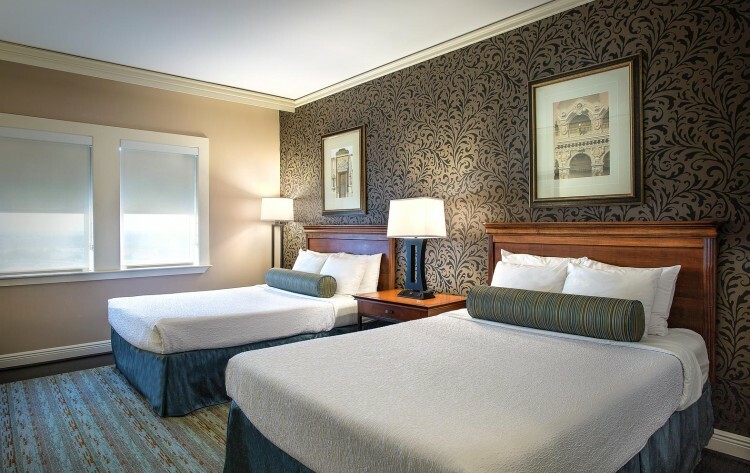 Warm and inviting, these rooms are furnished with one king or two full beds, a stylish sitting area, and offer several unique features, including a private dressing area and an additional half bath with a garden tub. Looking for a little more space? Step up your stay in our Executive King or Double guestrooms. 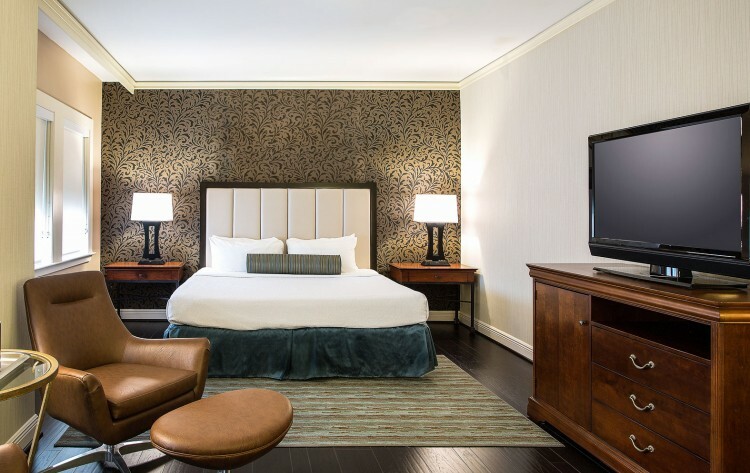 These ultra-spacious downtown Houston accommodations feature one king or two full beds, plus an additional sitting area with a comfy chair and ottoman. 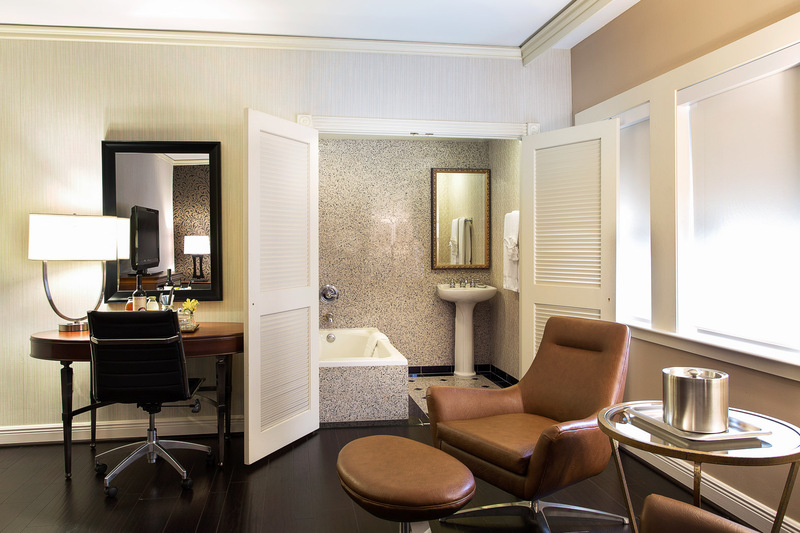 Lighted vanity mirrors, luxurious linens, and contemporary wall coverings create a stylish retreat ideal for business or leisure guests.